Certain hard-Right Protestants claim that the Bible is inerrant. In their eyes, it has "infallible divine authority." It is without error in everything it says about world events, about how the world was created, and so forth. Certain hard-Right Catholics make an equivalent claim about the pope. In their eyes, the pope is infallible. He can speak with direct, unquestionably divine authority about faith and morals, and he has exclusive rights to the interpretation of scripture. Others Christians dismiss these absolutist claims out of hand. The Bible has honest authority for us, and so does two thousand years of reflection and commentary on Jesus's teachings. But honest authority is not the unquestionable absolutism claimed by these Right-wing radicals. Neither the Bible nor the pope are infallible because all human knowledge is merely human. None of us can reasonably claim to know anything perfectly, beyond all question, beyond challenge by other interested observers. Even the best-established scientific findings are philosophically open to new research forcing some revision or refinement, and the history of science is replete with such upendings of "established fact." Healthy religion is similarly opened-minded despite similar confidence in truths revered for centuries. In both science and religion, wise humility is common sense. Consider this: Even if God were to appear in person in a burning bush in my own backyard, I could have only a fallible, limited, partial human knowledge of who God is or what God was trying to communicate. Even Jesus—granting for the moment the full divinity of Jesus—could only have conveyed to his followers what could have been made comprehensible to Galilean peasants in the early decades of the first century. Since Jesus wrote nothing himself, all that we have of him are memories transmitted orally for decades before being written down. That happened at best an entire generation later, and often two or even three generations later. As a result, we have only an imperfectly human understanding of whatever partial truths even a fully divine Jesus might have communicated. No one should be surprised at what a close study of historical theology reveals: despite important continuities, the history of Christianity is replete with significant changes in how Jesus and his teachings are understood. In short, infallibility-inerrancy claims are indefensible. They are nonsense. They are nonsense philosophically, nonsense cognitively, nonsense historically. None of us are capable of knowing anything inerrantly or infallibly. Furthermore, it's dangerous to pretend otherwise. Such claims are authoritarian, and thus a threat to democracy in a religiously diverse nation. Such claims are anti-intellectual, and thus a profound threat to scholarly inquiry and freedom of thought. Such claims threaten human well-being from multiple directions simultaneously. Sophisticated believers have been saying this ever since these radical claims first emerged hardly more than a century ago, in roughly the 1880s. Why, then, do such claims have such credibility as "the" Christian tradition? That's easy to explain: radically authoritarian religion is politically useful. As a result, these indefensible claims were rapidly seized upon by political actors for political purposes. Here's one measure of their success in co-opting Christian tradition: many secularists would now agree with Christian fundamentalists that to be "religious" in any sense is to accept as true an array of sweeping claims that are not open for discussion nor founded in any reasonable way upon solid arguments, persuasive facts, and the persistent testimony of good people over centuries. Religion isn't like that, supposedly. Religion, supposedly, in order to be religion, has to be absolutist, authoritarian, rigid, and dictatorial. Religion, in order to be religion, supposedly, must be based upon immediate, unquestionable "divine revelation" that is not open to logic, to evidence, or to honest argument or criticism from other perspectives. To count as a "believer," supposedly, critical thinkers must surrender our brains as we walk in the door. I have not surrendered my brains. Neither have plenty of other Christians. According to the Pew Forum U.S. Religious Landscape Survey (2008), "Most Americans also have a non-dogmatic approach when it comes to interpreting the tenets of their own religion. For instance, more than two-third of adults affiliated with a religious tradition agree that there is more than one true way to interpret the teachings of their faith, a pattern that occurs in nearly all traditions" (Mormons and Jehovah's Witnesses were the two outliers). Such independent thinking is not compatible with taking seriously the inerrancy-infallibility claims made by the hard Right. When Catholic Ireland voted to recognize gay marriage, it was clear to everyone that the robust spiritual reasonableness of the ancient tradition had prevailed over its contemporary Right-wing opponents. Here's what concerns me—and what should also worry reasonable secular humanists and reasonable humanists in other faith traditions: Christian fundamentalists have laid false claim to the cultural and symbolic capital of Christianity itself. If that false claim continues, if that false claim is not coherently and consciously opposed by the rest of us, then a valuable cultural heritage will be lost. What does such coherent opposition look like? First and foremost, we have to stop shrugging our shoulders and saying, dismissively, "I'm not that kind of Christian" or "I don't know where those people are coming from." We can't effectively oppose what we don't clearly understand. And so I offer the cultural backstory to religious judgmentalism. First, I trace the cultural roots of these distorted claims. I think that if we know that history even in a brief, summary form, we will more easily recognize the ripple effects and offshoots of infallibility-inerrancy claims. Whenever and wherever these offshoots appear, we need to recognize them for what they are. That does not require a PhD in history or extensive training in theology, just as a degree in chemistry is not required to avoid partially hydrogenated palm oil. Second, I want to explain that Christianity is best understood as an art. Religion across the board is probably best understood by analogy to the arts. Religions mothered all of the individual arts, which in their earliest forms all had some relationship to expressing the human experience of "the sacred" or "the holy" broadly understood. The arts are never absolutist. The arts persuade; they do not demand. They convince; they do not coerce. They express; they do not compel assent nor damn those indifferent to their expression. The lyric voice knows how to say this is true without implying believe or burn. Christianity, I contend, is the work of the moral imagination. Its truths are symbolic truths, and at the literal level every symbol is necessarily paradoxical. 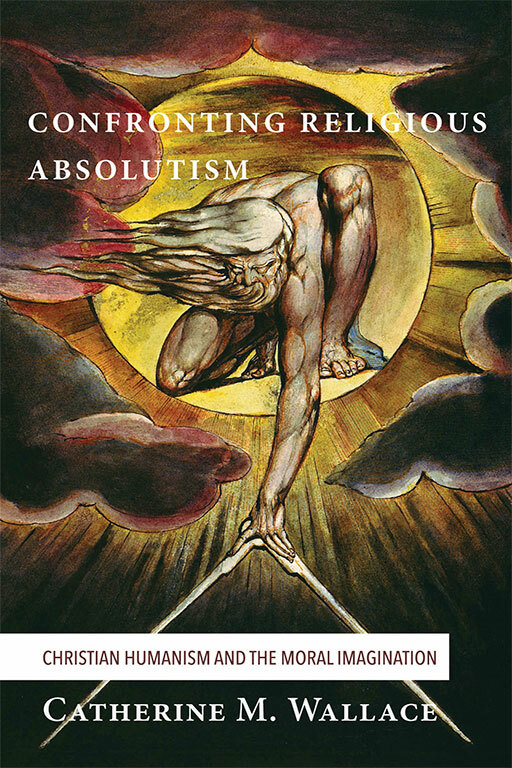 The problem with religious absolutism, then, is that it's painfully literal-minded. It is oblivious to symbolism, which like higher mathematics is one of the most sophisticated cognitive tools that we have. If what you learned about symbolism in school struck you as vague, ethereal, and unconvincing, that may have been because kids tend naturally to be literal-minded and concrete in their thinking. They see what they see, and that's all there is to see. It takes a mature mind (and a fully matured brain) to recognize and to grapple with inescapable paradox. I saw this over and over again trying to teach literature to undergraduates. "Traditional age" students struggled mightily to see what "returning students" in their thirties and forties saw at a glance. College kids can be very smart, heaven knows. But only adults are wise. There's a difference between smarts and wisdom. Neurologists say that's a function of the frontal lobes, which are not fully plugged in until the mid-twenties. Maybe so. Maybe the difference is life-experience: sooner or later, we see for ourselves that paradox is inescapable and life itself far more complicated than once we believed. That recognition colors everything we experience thereafter. Seeing Christianity as an art, or as something closely analogous to an art, has a single overwhelming implication: faith is a creative process. Faith is not an absolutist claim to know infallible facts. Faith is a creative process. Faith is the creative process of grappling seriously with our own experience of compassion as something deep and real within us, something so real it also feels undeniably "cosmic" or externally real as well. And yet there's nothing present at such moments that anyone else could weigh or measure or photograph. What's real in such experiences does not have the quality of "realness" we ascribe to shoes and ships and sealing wax, cabbages and king. Those things can be quantified. They can weighed or measured. God—what Christians mean by the word "God"—cannot. God is not a heavenly superhero whose special powers can be conclusively demonstrated. I'm not going to argue if you want to say that such moments are all nonsense because in fact life is solitary, poor, nasty, brutish, and short. That's an interpretation many people share. But it too is an interpretation. It's also an interpretation to brush aside such moments as merely insignificant. No matter what, then, we are making a choice. And I'm okay with that fact. But if we are going to take seriously our encounters with the transcendent power of compassion, we must do so in a sophisticated way. And the most accurate, most rigorous way to do that, I contend, is to understand that faith in the ultimate or cosmic reality of compassion is itself a creative process, not a claim to infallible knowledge or inerrant sources of knowledge. Christianity, I contend, is neither more nor less than one historically-conditioned, culturally-situated tradition explaining what this creative process is and how to foster it within ourselves. Christianity is only one such tradition. There are other traditions. Of course there are other traditions. But the fact that there are other ways is not, in and of itself, a reason to ignore one of the major global traditions for recognizing and fostering the creative process that is living both compassionately and wisely. By analogy: many of us grew up playing whatever musical instrument our parents favored. Perhaps for fun we have noodled around with other instruments, curious about the different experience of other musicians. That can be immensely valuable. It's often required of serious music students at a certain level. Similarly, many of us have noodled around a little in religious traditions other than our own. I've found that immensely valuable at a deeply spiritual level. I think it's possible to value the heritage of others, and to oppose its misappropriation, without intending to enter into that tradition myself. The Chinese government, for instance, is working hard to assert control over Tibetan Buddhism. The Taliban have blown up statues of the Buddha. You don't have to convert to Buddhism in order to object to that. Similarly, one need not convert to Christianity in order to appreciate the heritage that is here at risk from people who would appropriate Christian tradition for narrow, authoritarian, often anti-social purposes. Let me explain how I propose to do all of this. This book will divide into three tidy parts. After telling a story about a moment in my life when I came face-to-face with these issues, I will spend three chapters sketching at the evolution of "authority" as a concept in the West. Then I'll spend three chapters tracing the rise of fundamentalism in both its Catholic and its Protestant forms. And then, in the last three chapters, I will outline an alternative vision of Christianity. Christianity is not necessarily or inevitably absolutist-authoritarian or based upon untenable claims to have some truth that cannot be questioned. Christianity can be understood as an art form. Christianity can be understood as a rich creative process of grappling with the fullness of what it means to be human in relationship to the sacred. Here's how that will look in detail. In chapter 3, I'll explain what sociologists and historians now say about the ordinary function of ordinary religion in the ancient world: religion legitimated the power of those who held power and the authority of those who were in authority. Religion was explicitly absolutist and authoritarian because that's how political power was exercised in the ancient world. That theocratic merger of church and state began to be undermined in the 1300s by an intellectual movement that came to be called "Christian humanism." These thinkers provided the conceptual foundations of what we now call the Renaissance and the Reformation. They also provided the conceptual foundations of the West's slow and unsteady evolution toward democracy. The core of that conceptual foundation was their reformulation of the ancient belief that the God dwells within each of us. In chapter 4, I'll trace the theological and political tensions that emerged as this new Christian-humanist scholarship in effect undermined the absolute authority of Christian theocracy in its traditional Western form. In the 1500s and 1600s, "the" church exploded into what has become thousands of competing Christian sects and denominations. Which of them inherits—and how?—the absolutist authority that "the" church had always claimed during the long centuries of theocratic rule? Does "the" church properly have such authority in the first place? In chapter 5, I'll explain how, in the wake of those catastrophic wars, Western intellectuals sought an alternative source of stable social and political authority. This alternative source has come to be called "Enlightenment modernism" or, simply, "modernism." Newton was turned into its patron saint if not its presiding deity. In effect, "rationalism" was set in place as the new source of unquestionable authority presided over by a new unquestionable priesthood. I realize that sounds bizarre. On the other hand, it explains why the 1600s and 1700s are such a fascinating historical period. In chapters 6, 7, and 8, we move on to the 1800s. I'll describe the reactionary or retrograde efforts among certain Victorian Christians to reclaim unquestionable or absolutist authority for Christianity. For Protestants, this effort led to radical claims about the literal and inerrant truth of scripture; for Catholics, this effort led to a particularly reactionary pope claiming to be infallible. These are complicated claims. They are also bizarre distortions of the larger Christian intellectual heritage. At the time, these reactionaries were as sharply opposed to Christian biblical scholarship as they were to Darwin or to contemporary work in geology. They were the theological equivalent of people insisting that the world is flat and the moon landings were staged. It astounds me that these inerrancy-infallibility claims now appear in the eyes of many to be "legitimate" or "traditional" Christian beliefs. They're not. But why not is a story that needs to be told, because that story in effect lays out a common intellectual ground shared by today's Christian humanists and today's humanists in other traditions, whether secular or religious. In chapters 9, 10, and 11, I'll trace a contrary—and far saner—trend in Western intellectual inquiry. Beginning in the 1660s, scholars began to recognize and to describe a cognitive ability that came to be called "imagination." Imagination is the mind's ability to recognize patterns and to grapple with paradox. This cognitive ability gives rise to metaphor and to symbolism, which are the major tools we have to stabilize paradox sufficiently to grapple with it thoughtfully. Christianity, I argue, is best understood as one of the major cultural products of the human imagination. And in chapter 12 and 13, I'll conclude with a couple of stories. What might it mean in our own lives to recognize that religious faith is a creative act, an imaginative synthesis of patterns implicit in our own experience? I have struggled with that question all of my adult life. In my first career as an English professor, I specialized in the evolution of the concept of imagination in the 1600s and 1700s, and especially in the work of Samuel Taylor Coleridge, who was the very first to recognize the implications of imagination for how we understand Christianity. But that was never for me simply an academic pursuit. It was my own life I was trying to understand, my own experience, the way my own mind worked. For better for worse, high creatives are just a bit odd. And just a tad nonconformist too. There would seem to be no place whatsoever for people like me within the authoritarian confines "organized religion" in the usual Victorian definition of that phrase. And yet: look at the immense heritage of religious art and music and poetry. In Real Presences (1989), literary critic George Steiner argues that the abiding question of the modern novel is whether or not God exists: "the great exemplars continue to ask, aloud or beneath their breath (as in Proust), the one question ineradicable in man: Is there or is there not God? Is there or is there not meaning to being? That was a question I could neither answer nor ignore . . .
Pew Research Center, "Summary of Key Findings," U.S. Religious Landscape Survey (2008), 4.